What are the procedures to renew parents' residence visa in Dubai? + No need to visit Immigration Department to submit visa application. - Customer will receive SMS from Immigration incase of approval or modification. Normal applications will be collected and delivered by Zajel courier. Urgent fee paid applicants should take their dependents' passport to Immigration for visa stamping after receiving approval SMS. - All fees and fine should be paid through AMER centre only. + Original passport of parent(s). + Original Medical Certificate of parent(s). + Medical Insurance Card/Certificate of the parent(s). + Affidavit (Dependency Certificate) from your Consulate stating that you will take care for the sponsored parents and be responsible for their well being. You can attach the old copy that you had made at the time of applying for entry visa of the parent(s). As per the new Vision program of GRDRFA, we have to scan this affidavit once. Next year it will show automatically at the time of renewal. + Dh5060 Deposit. You may had deposited this amount at the time of applying entry visa for the parent(s). As per the new Vision program of GRDRFA, we have to deposit this amount once again. Next year it will show automatically at the time of renewal. Old deposit you can refund from the Immigration after renewal of the visa. If you have deposited this amount in the new system attach the receipt. Visa stamping Fee for one year: Dh365 to be paid at Amer centre. 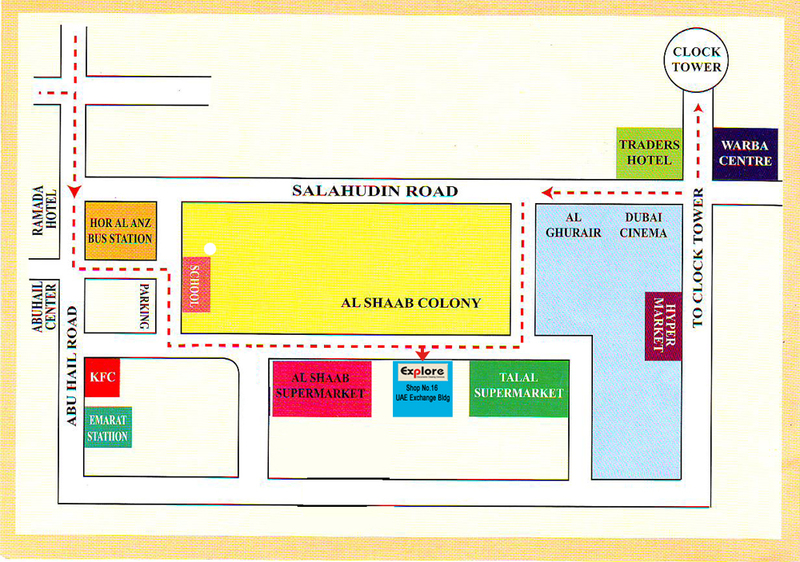 + File opening Fee: Dh210 should be paid through Amer centre (typing charge extra). If you have paid file opening fee before, you can bring that sticker for scanning. Requirements for Medical: Passport copy, two photographs with white background and online application. Emirates ID application should be scanned with visa stamping application form. + There are 30 days grace period from the date of visa expiry. + Emirates ID application to be attached with Visa renewal form. Type Medical & ID application and go for Medical first, then do fingerprint (if required) at EIDA Centre near Medical Clinic (Al Baraha, Sonapur, Al Qouze). No need appointment. + After receiving Medical Report, submit visa stamping application through Typing Centre. + After submission of online application, you will receive Approved message & Airway Bill Number through SMS within 48 hours. FINE: Visa to be stamped within 30 days from the date of expiry. If Late Dh25 fine per day to be paid at typing centre. First day fine Dh45. OLD DEPOSIT REFUND STEPS: Go to refund counter at Jafliya Immigration Head Office with original deposit receipt of old and new, get seal on the receipt No Objection for Refund. Go to Dubai Commercial Bank Immigration Brach Counter, Pay Dh20 as service charge and collect the cash. Tags: What are the documents required for parent's visa renewal? How much is the fee for parent's visa renewal? Till what age medical test is required for visa renewal? Do I need to apply for Emirates ID before renewing the visa? Within how many days should I renew parent's visa? Should I show tenancy contract at the time of parent's visa renewal? Do I need to type any application for parent's visa renewal? Where should I submit the application? Do I need to take my parents to Immigration for visa renewal or can I go alone? Can I get my parent's visa renewed passport same time?